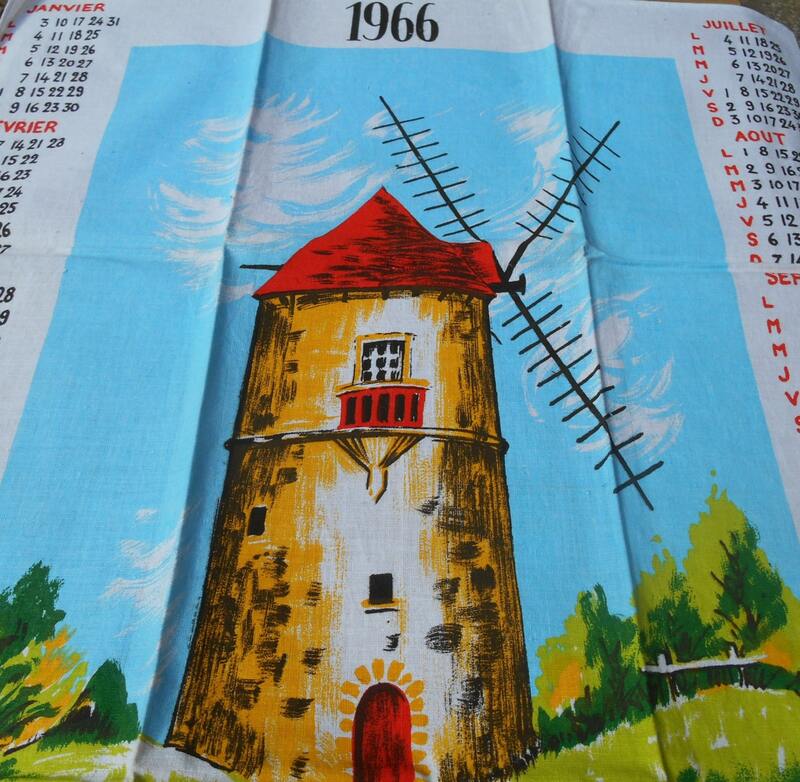 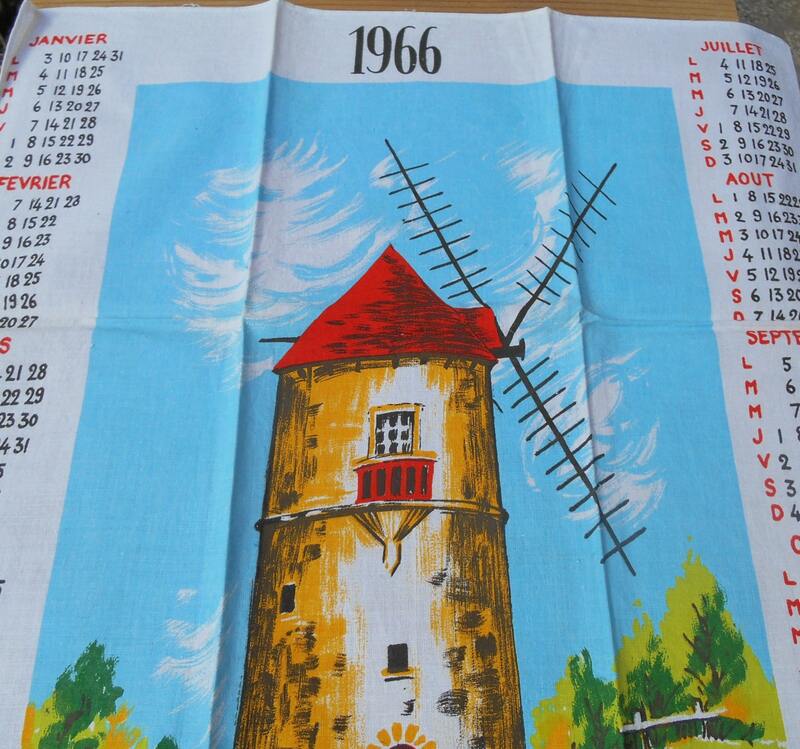 1966 Folk calendar dish cloth . 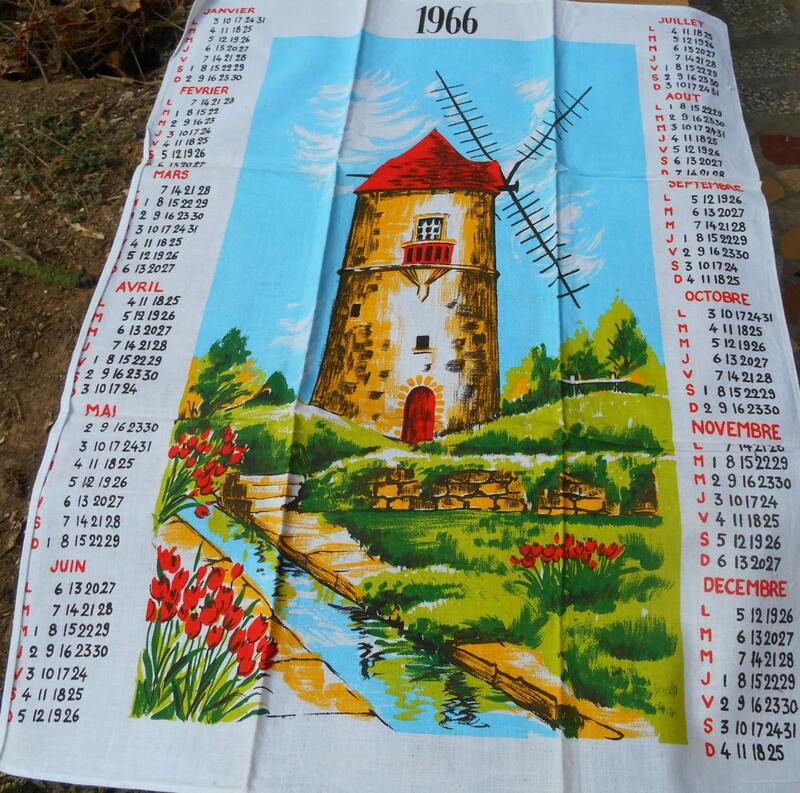 Cotton made . 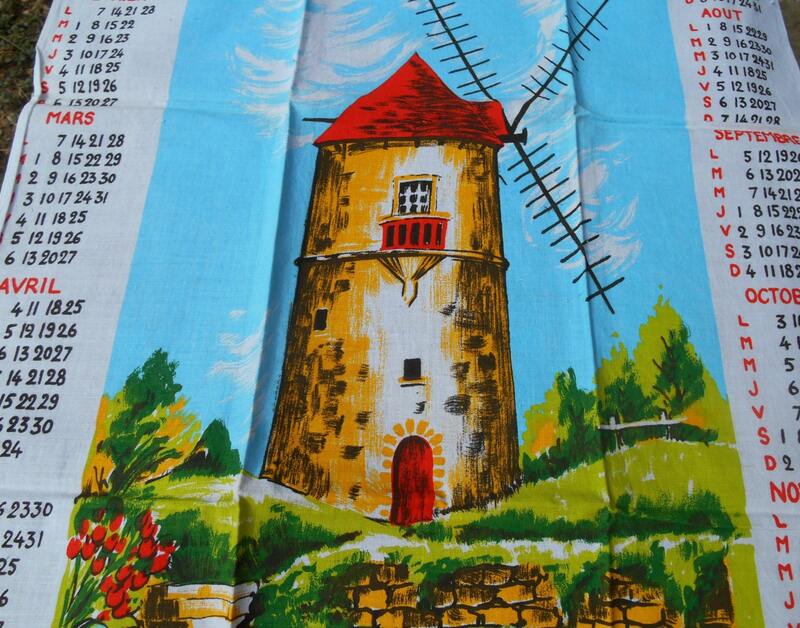 Vintage Windmill Design . 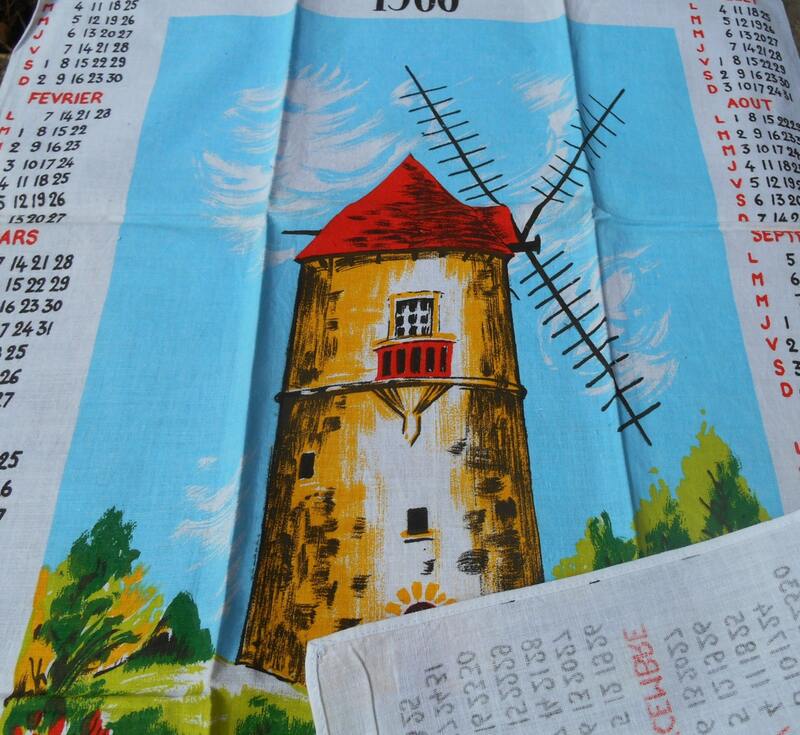 Lovely vintage cotton cloth with a folk design.